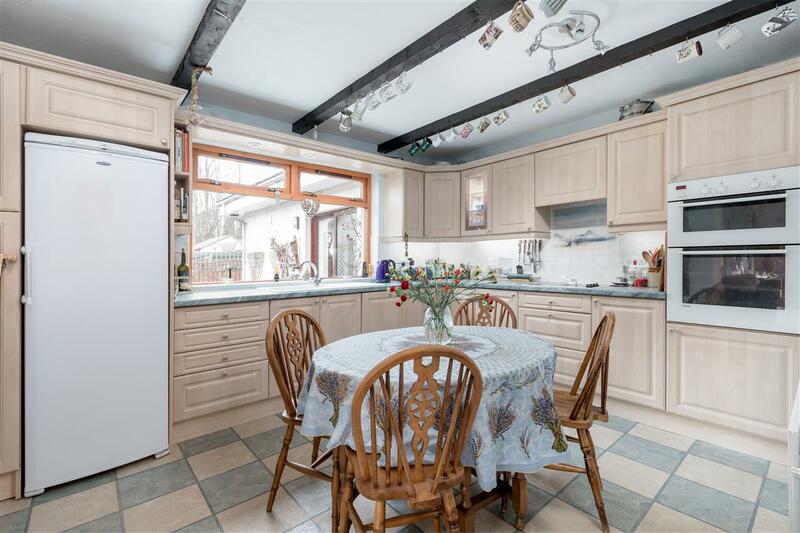 Exceptionally spacious detached family home. Guest wing or potential granny flat. 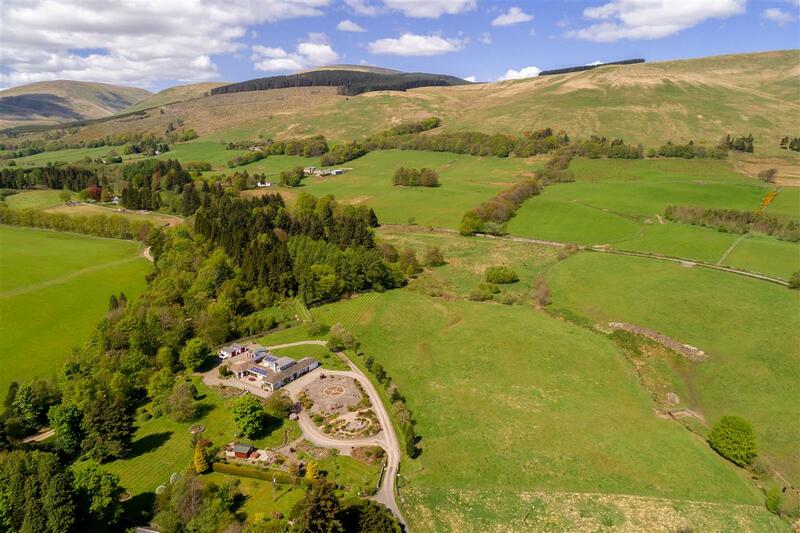 Adjoining paddock of over 4 acres. 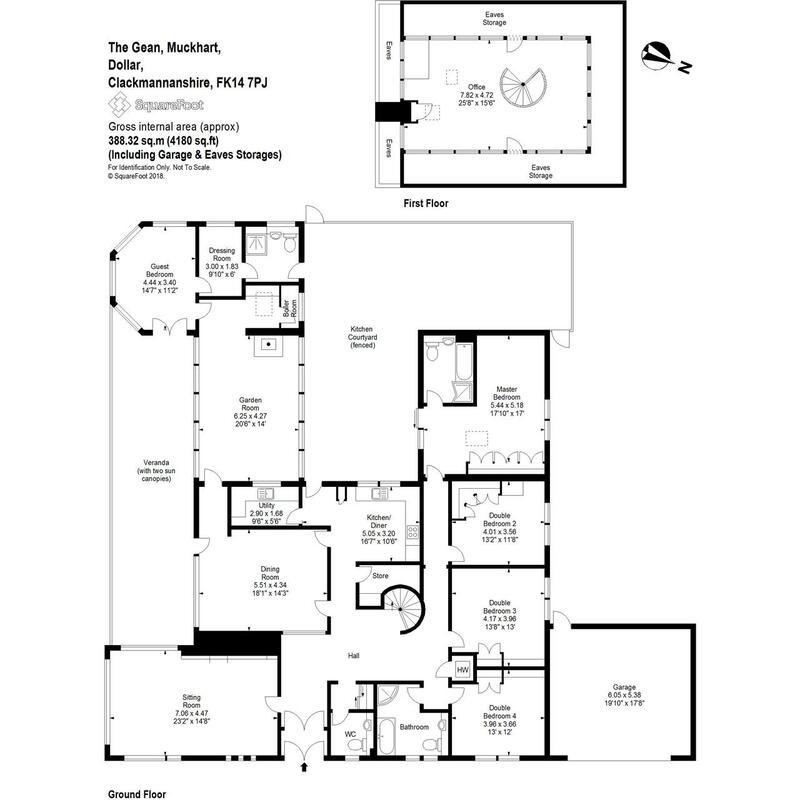 Large master bedroom with en suite bathroom. 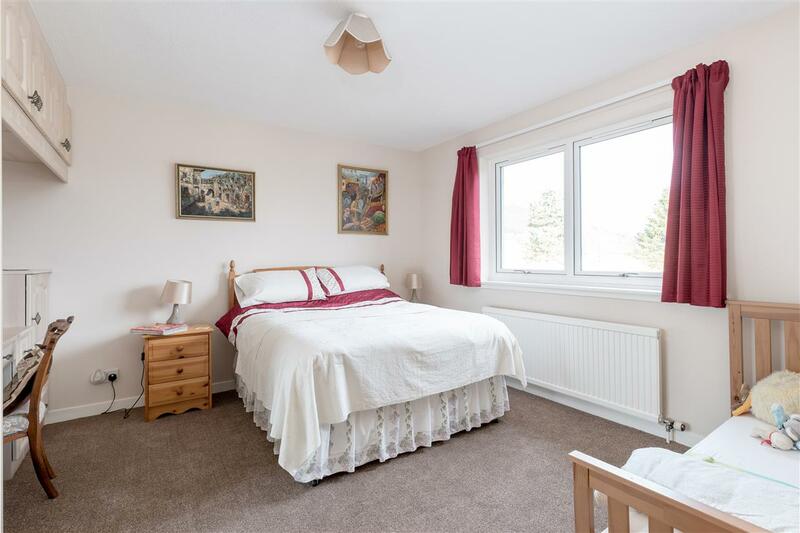 3 further double bedrooms in main property. Attached brick built double garage. 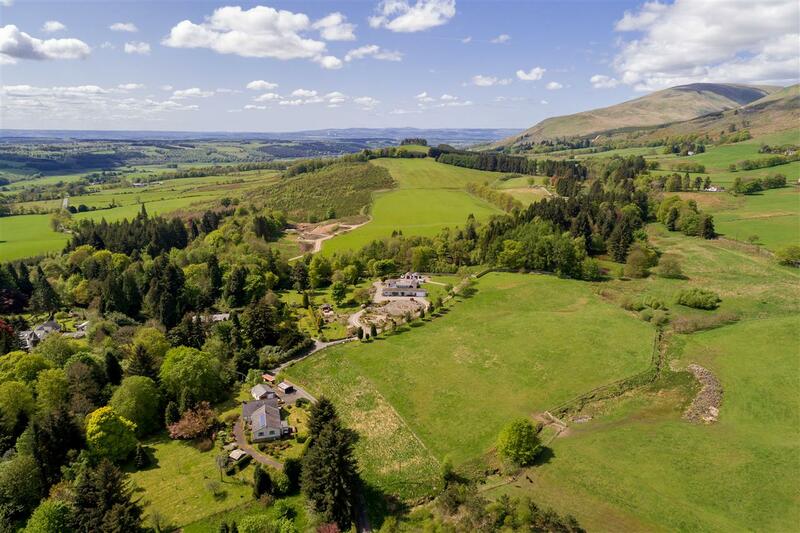 Occupying an idyllic, peaceful country location between Muckhart and Dollar this exceptionally spacious detached family home offers flexible accommodation with guest wing or potential granny flat. 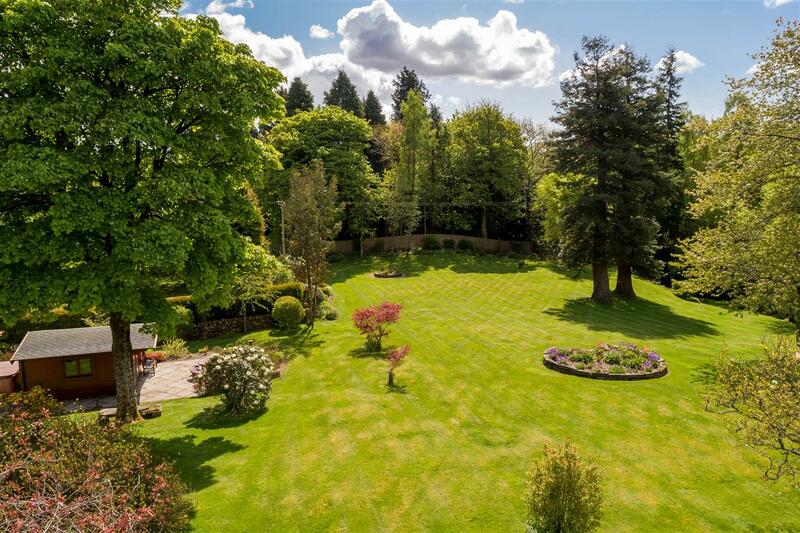 The property is set within extensive beautifully maintained gardens with an adjoining paddock of over 4 acres. The house features a stunning fusion of Gothic and Japanese influences. 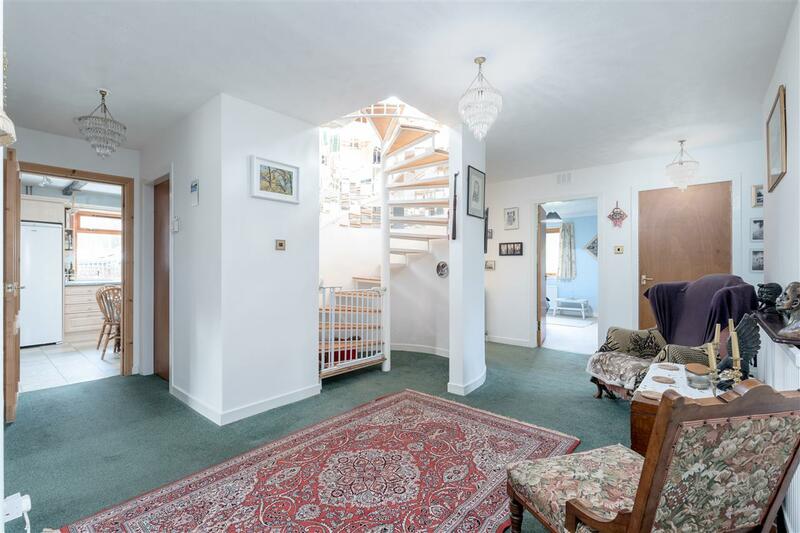 Access is through the vestibule leading to the bright and spacious hallway with a spiral staircase leading to the upper floor room. 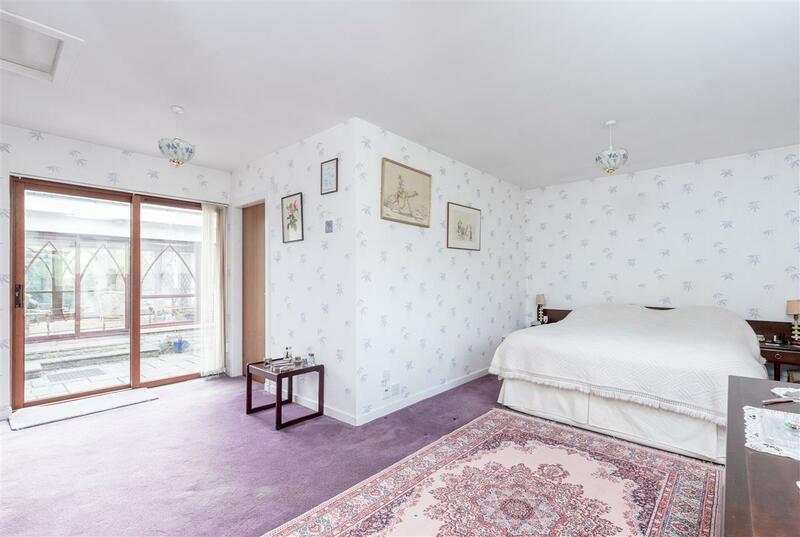 A wonderful aspect of this property is the upper floor room, outwardly built in the Japanese style. 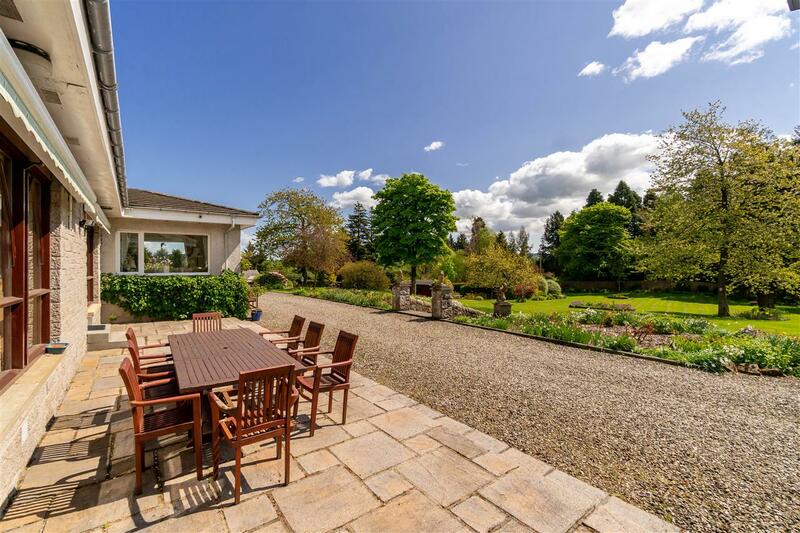 It is glazed on all sides to take advantage of the stunning panoramic views of the hills. This is currently used as an office but would make a fantastic lounge. The ground floor cloakroom which contains two fittings and adjacent cloaks cupboard, which is accessed from the hall. 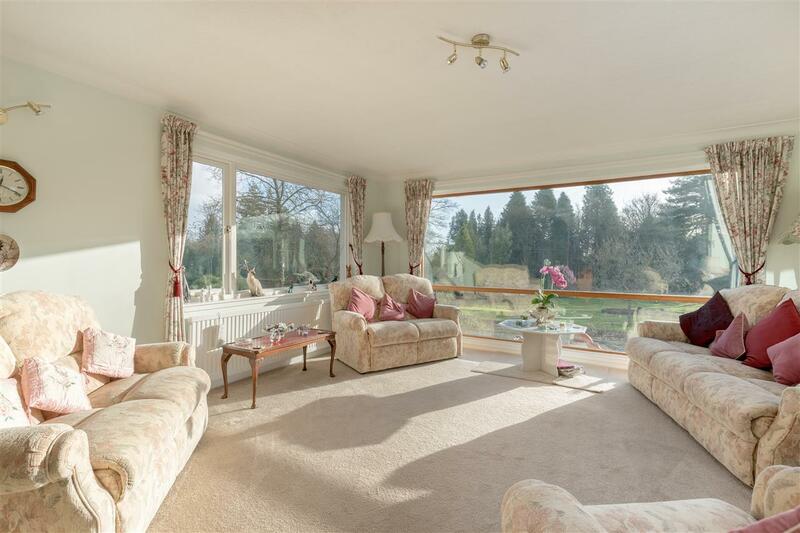 The large lounge features windows to the front and side and has a fireplace with solid fuel fire. 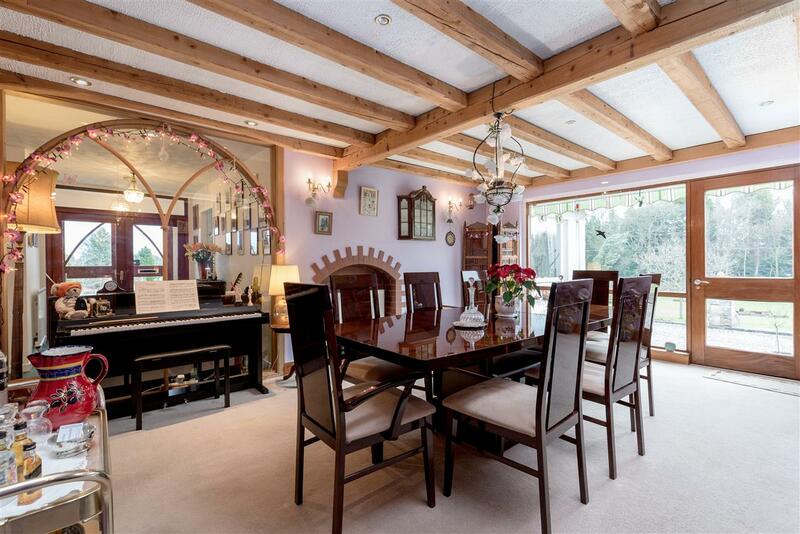 The separate dining room features an oak beam ceiling and a door to the garden patio. The kitchen has a door and window to the courtyard patio and contains a comprehensive range of units including an electric hob, two integral double ovens/grills, and an integral dishwasher. Outside the kitchen is a deep storage cupboard. The utility room is accessed from kitchen and has matching units and space for under work top appliances. 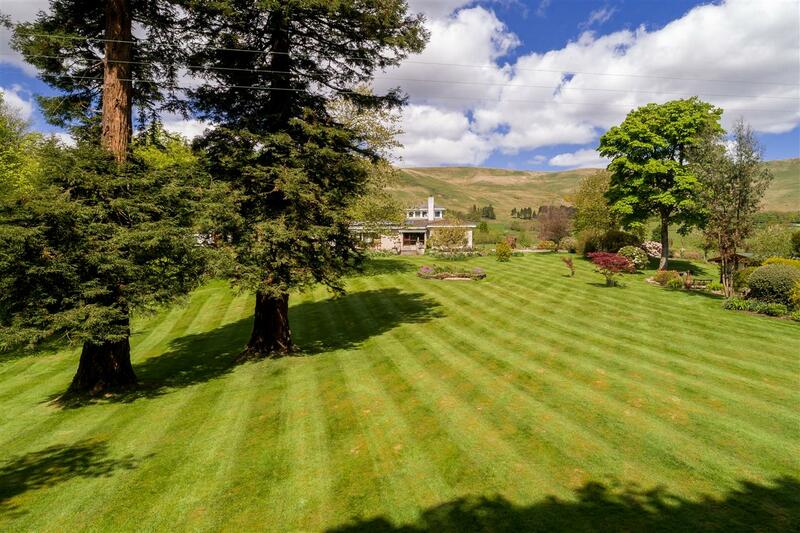 The four bedrooms in the main house all have views of the hills. 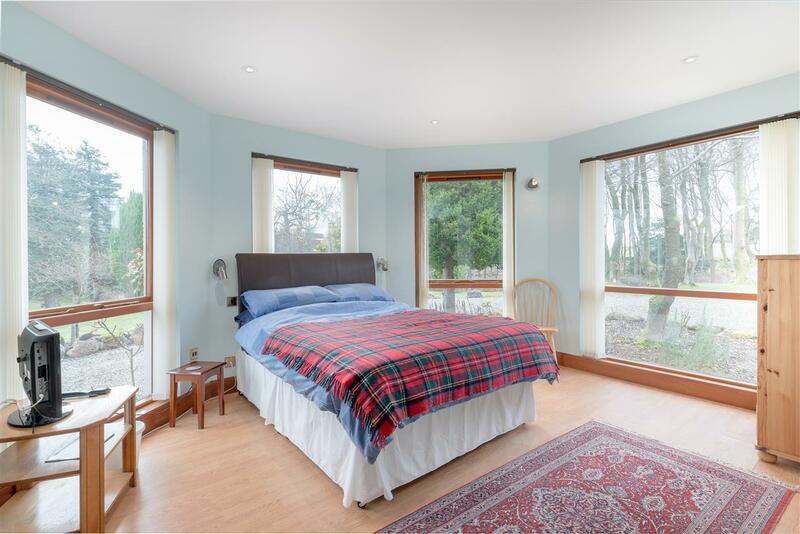 The large master bedroom has fitted wardrobes and patio doors to the courtyard patio. 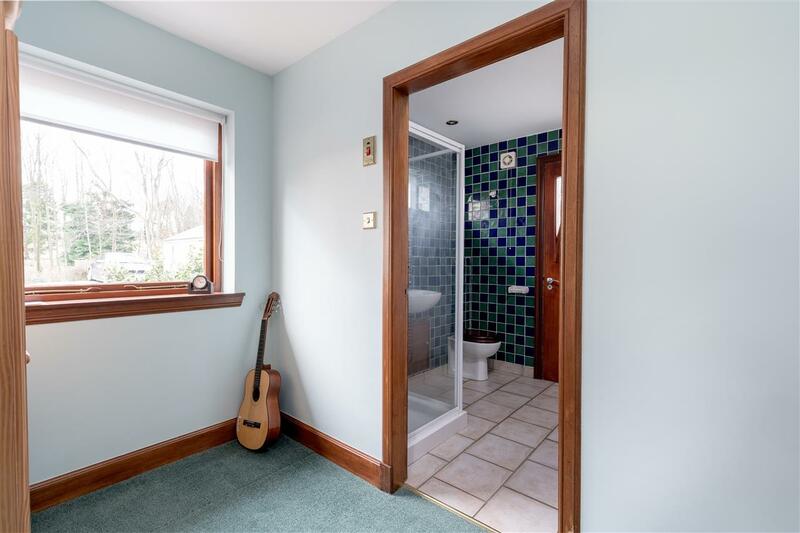 The en suite bathroom has a four piece suite with separate shower. 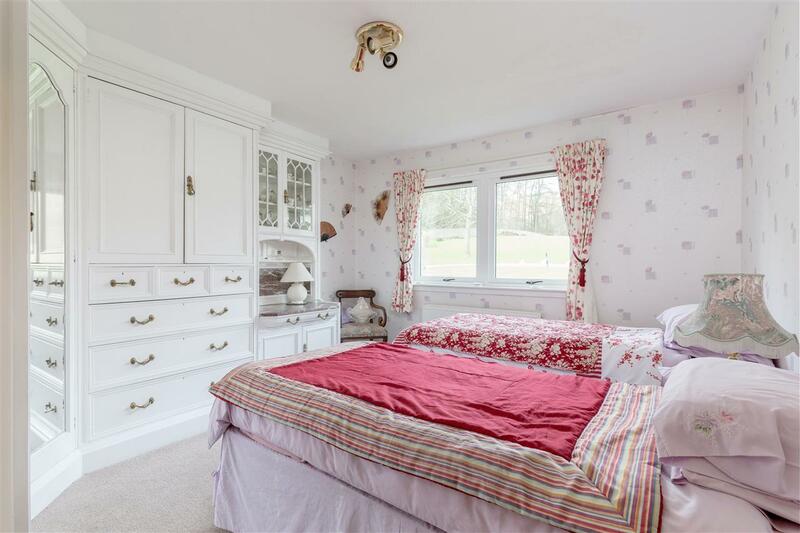 There are three other double bedrooms, with beautiful units at bedroom two including a display case. Bedrooms three and four have fitted wardrobes and built in units. The family bathroom has a four piece suite, again with separate shower. There is a glass screen in the hall showing the dining room at it's most beautiful. The guest wing is where there is a garden room with a stone tiled floor, wood burning stove, ornate windows and a door to the courtyard patio area. 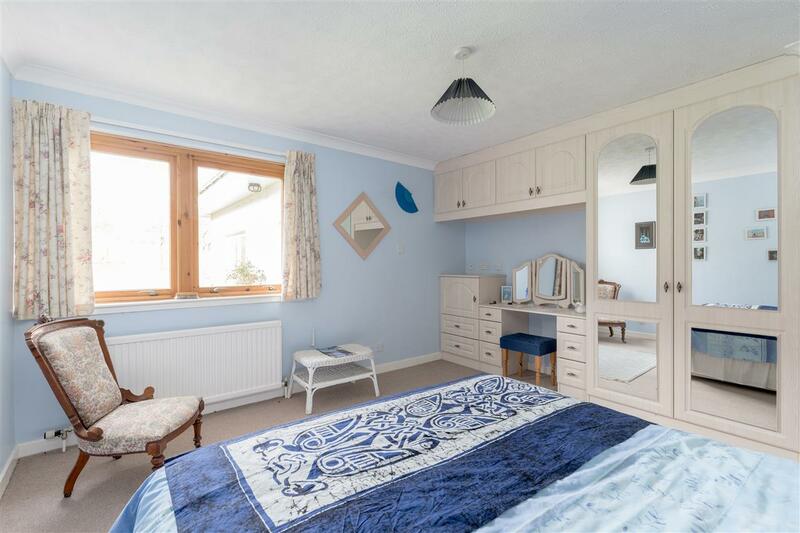 The hexagonal guest bedroom has a main front door to the garden patio, a dressing room off and an en suite shower room with a white three piece suite. This wing can be separated from the main accommodation and could easily be adapted as a granny flat, etc. 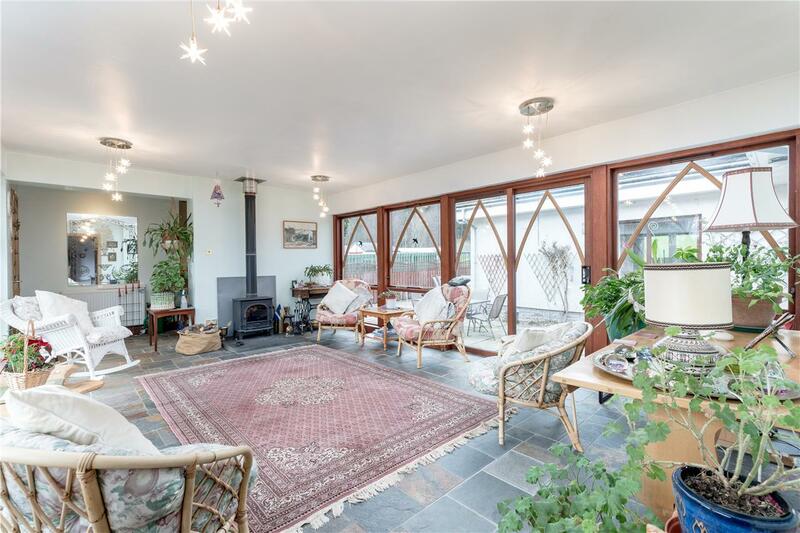 The property is double glazed and benefits from oil fired central heating. 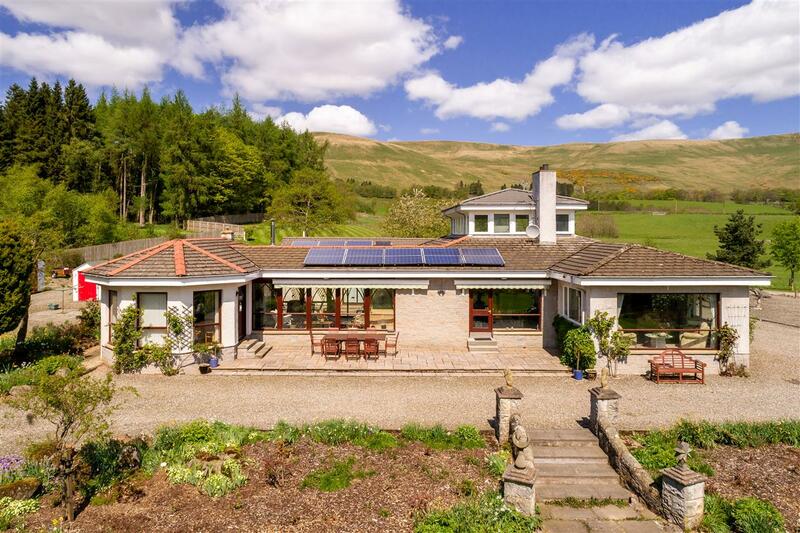 In addition there is an air source heat pump providing hot water and solar panels subject to Feed in Tariff for 25 years from 2011. 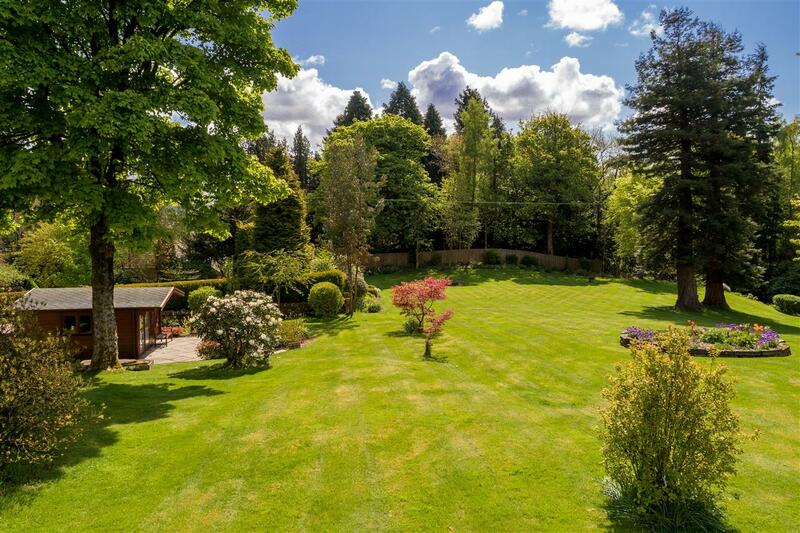 The house sits in fabulous established gardens with large patio areas and mature trees. The garden is flanked to the West by the Castleton Burn at low level. The garden patio which faces South East, has electric blinds. Attached to the house is a brick built double garage. A further feature of the gardens are the outbuildings including a timber chalet. This can be used as an office as it has electricity and hard wired telephone lines, garden room or changing room for the adjacent hot tub. There are four sheds, the larger two having electricity, and a greenhouse. The adjacent paddock offers grazing, it extends to over four acres and is served by a burn. The attic and eaves areas are partly floored for storage. 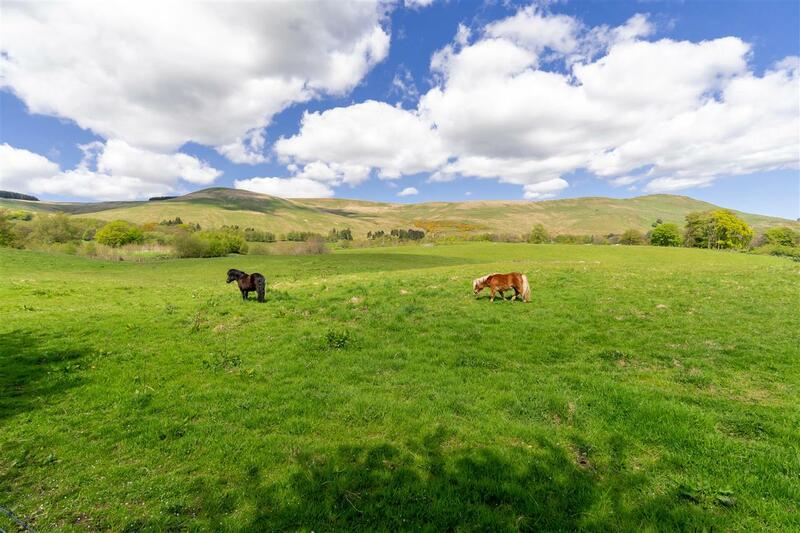 The property is close to Muckhart, a delightful village with a vibrant community in an area of outstanding natural beauty. The village includes a highly regarded primary school and historic pub. 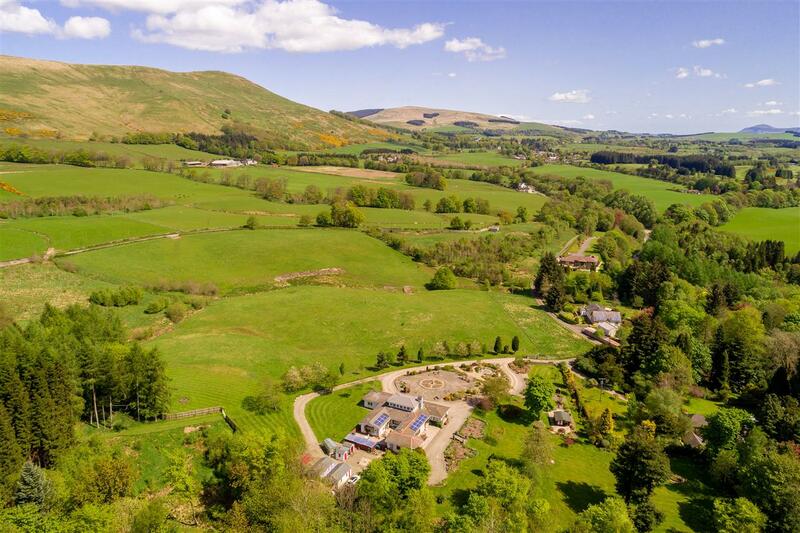 In addition to the local amenities in Muckhart, nearby Dollar provides a great range of amenities to service daily needs and is home to the renowned Dollar Academy offering schooling from Prep level to Senior school for those wishing education in the private sector. 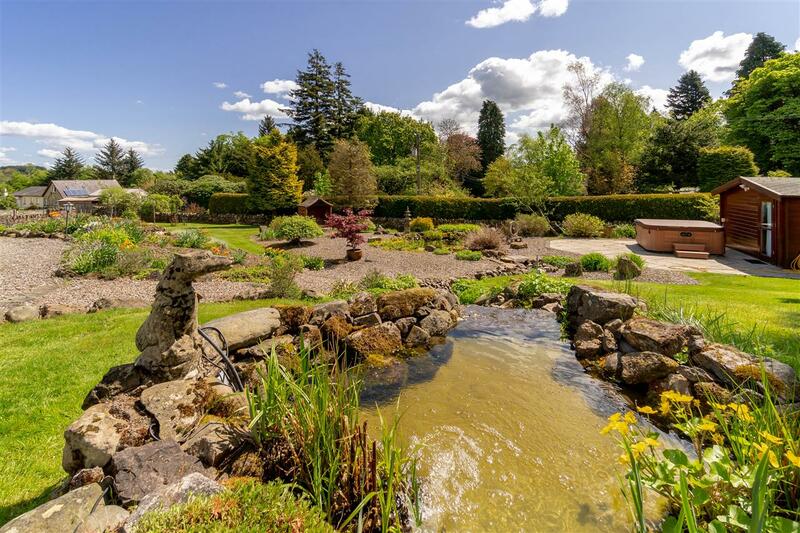 More major facilities can be found in the historic Burghs of Stirling and Dunfermline and other nearby towns including the easily accessible Perth. Gleneagles is a mere seven miles distant. 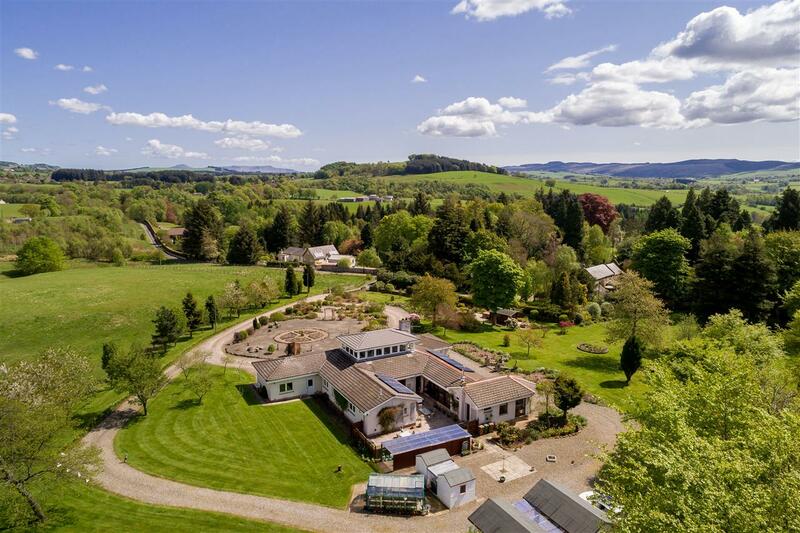 The property enjoys an excellent central location giving easy access to the main motorway networks and the major cities of Edinburgh and Glasgow, each with an international airport. Directions: - on leaving Dollar heading to Muckhart on the A91, after 2.2 miles turn left onto Upper Hillfoot Road. 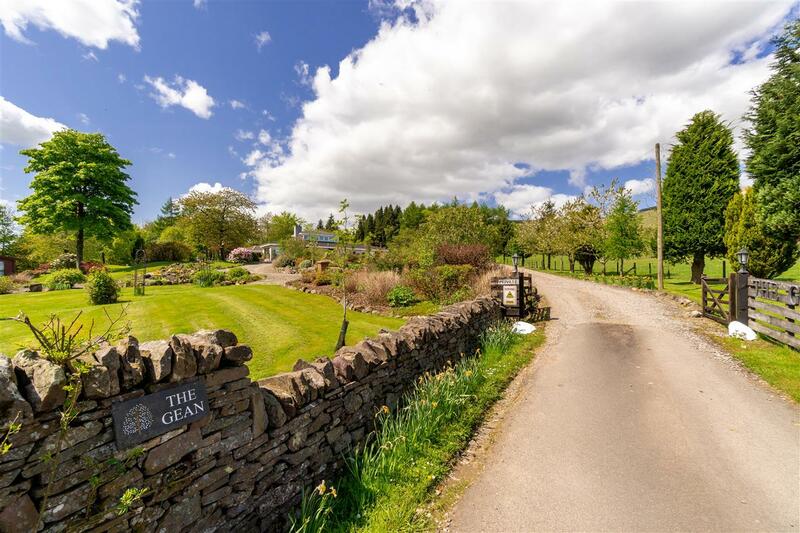 After a couple of hundred yards Ardmill lodge is on your left with the private drive to The Gean immediately adjacent. 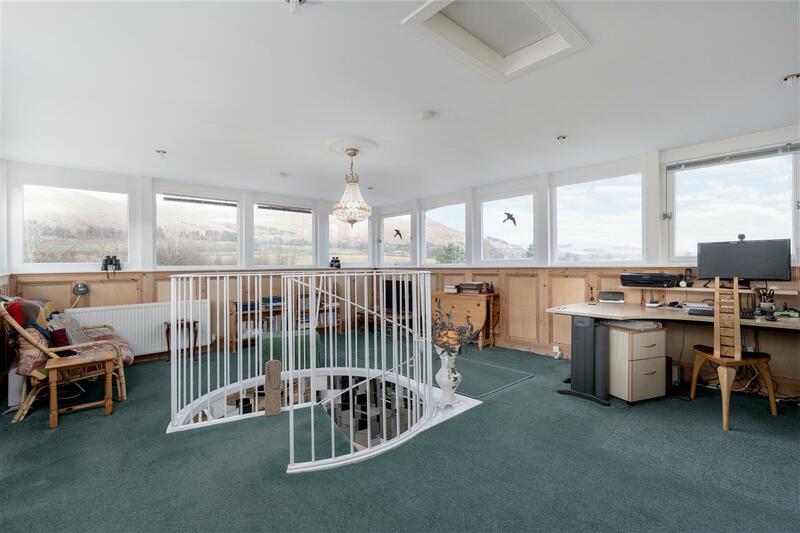 Extras: - Carpets, curtains and hot tub are included. Some other items such as the dining room furniture may be available by separate negotiation.